We provide towing assistance to security companies, property owners and management companies to create a private property impound program. Whether it is No Parking signs or the concerned legal requirements, we are with you on all notes. So if you have any parking issue, do call us and enjoy our prompt services specially designed for you. Rest assure. You will be delighted to be with us. We can tow you to a quality body shop of your choice; in case get trapped in a wreck or an accident. Even though you are badly stuck in the boggy mire or fallen into a ditch, you can rely on us and call. We ensure you damage free recovery of the vehicle. We provide you the most dependable emergency roadside assistance. Our trained drivers and professionals are always there to help with services like lockout, jump starts, and flat tire changing. We are made for towing of all show and custom cars. We have a lots of experience with towing modified and lowered trucks and cars. So no towing company can be as trustworthy as we are. We provide removal services for unwanted cars and vehicles. The best thing about us is that we put the old junk in recycling process using eco friendly methods. Apart from these services we also provide services like Vehicle Storage and Repossessions. So Expert Towing NYC is all made for you if you are Brooklyn or Queens. 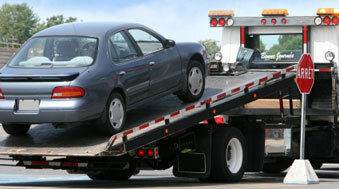 Do call us whenever you are in need of any services related to the car tow.